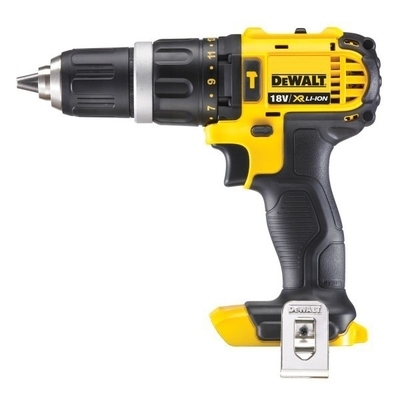 The powerful DCD785 from DeWalt features a 350w motor, capable of producing a maximum operating speed of 2000rpm. It is ideal for various drilling applications in wood, metal and masonry and also boasts an impressive maximum drill capacity of 38mm. With a 13mm keyless chuck for quick and easy bit changes, forward/reverse speeds, variable speed control and built-in LED work light, this versatile cordless tool is ideal for various drilling jobs in tight areas where a powerful piece of kit is still required.